We have a play tent at home, one part of which is a small tunnel. A likes going into it and does it quite often. 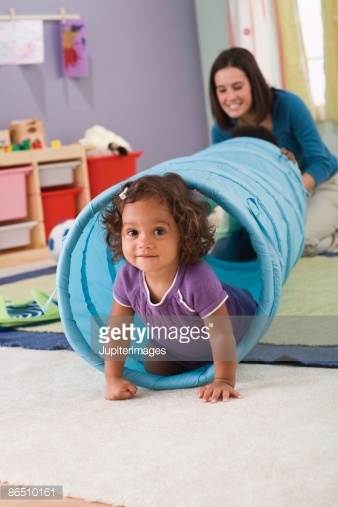 So, I explained to her it was a tunnel and that it is cylindrical in shape with two sides open.